The Barcode Reader module provides a way to detect and decode barcodes that are visible in the current image. If you would like to use RoboRealm for additional barcode detection please let us know and we will add the particular barcode type to this module. We only add barcode types base on customer request. Please contact us to request additional barcode types. 1. Decode Box Color - select the color of successfully detected and decoded barcodes. 2. Test Box Color - select the color of barcodes there were detected but could not be decoded. MaxiCode is a fixed-size (1.11inch x 1.054 inch nominal) two-dimensional symbology made up offset rows of hexagonal elements around a unique circular finder pattern. A MaxiCode symbol has 884 hexagonal modules arranged in 33 rows with each row containing up to 30 modules. The maximum data capacity for MaxiCode is 93 characters. MaxiCode is used by United Parcel Service (UPS) for package tracking. While any data can be contained in a MaxiCode the typical UPS MaxiCode contains a Postal code, Country Code and Service mode in addition to a string of text that contains additional information such as street address. Because the MaxiCode has two error correcting modes it is possible to detect the Postal, Country and Service codes without being able to detect the rest of the street address. RoboRealm indicates this situation using the MAXICODE_MESSAGE_RAW variable which provides the rest of the textual information that could not be correctly decoded. Note that due to the complexity and detail required for a MaxiCode you will need to place the webcam close to the MaxiCode in order to successfully read the code. We recommend a minimum resolution of 640x480 in order to ensure that enough detail is represented in order to decode. 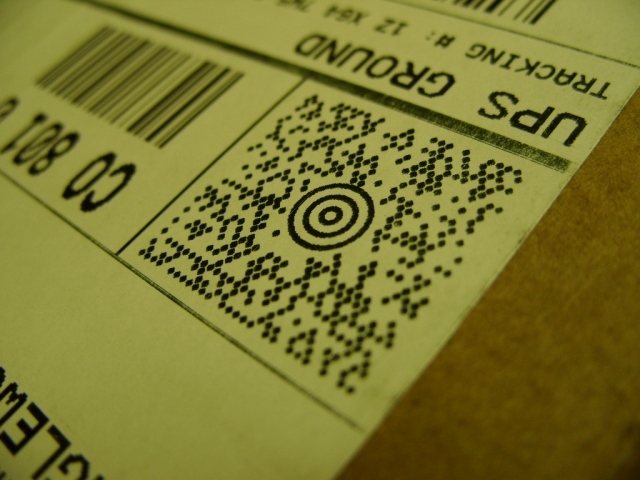 The 1D barcodes are traditionally seen on products that one would typically buy at a store. Most of them include a CRC digit which helps to reduce accidental recognition. Code 39 does NOT have a CRC check and therefore can cause many false matches. In this case you may need to create additional filters prior to the barcode module to isolate just the barcode. 4. Check all Orientations - Some 1D barcodes can be checked to exist in multiple orientations. Selecting this checkbox will check multiple directions for the presence of barcodes. Note, this slows processing speed. This only applies to 1D barcodes. 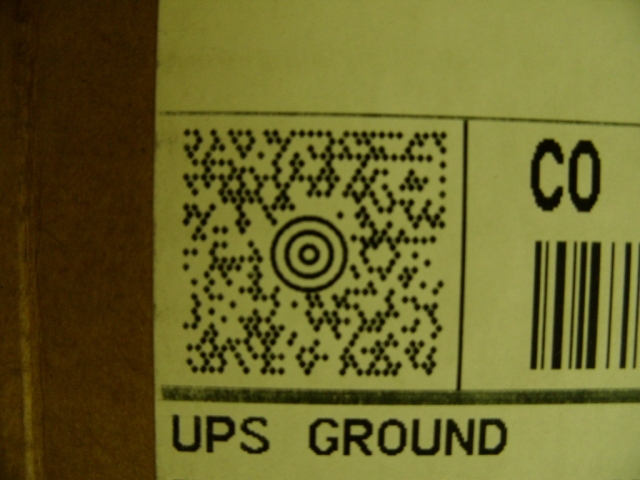 The 2D barcodes (DataMatrix, QRCode, MaxiCode) are detected in any orientation regardless of this setting. 5. Left->Right, Right->Left, Top->Bottom, Bottom->Top - Specifies that the orientation be checked in the specified order. This allows specific angles to be checked 0, 180, 270, 90 degrees rather than all orientations. This ensures faster processing speed. 6. Require CRC - Some 1D barcodes have optional CRC checking. This can help to ensure correct decoding of barcodes but will remove partial decoding of some barcodes. 7. Min Barcode Height - Specifies the minimum height of a barcode that would be detected. Specifying as large a number as possible allows the module to skip over the image quicker than with smaller numbers. 8. Show Segmentation - Embedded within the module is an adaptive threshold method to isolate 2D barcodes like DataMatrix. Selecting this checkbox will show you what the current segmentation parameters are working with. 10. Min/Max Size - Specifies the size of the bounding box of the code that will be considered. Those objects with size less than min and greater than max will be excluded from the decoding process. This filter can be used to speed up the decoding process by eliminating objects early in the analysis process. 11. Display As Annotation - Select if you want the graphic boxes to be draw after all processing has been completed. If this is NOT selected then the next module in the processing pipeline will see the graphic as if it were part of the image and process it accordingly. 12. Decoded Box Color - The color that is used to indicate a correctly decoded barcode. 11. Test Box Color - The color to use to indicate a possible barcode shape but with an incorrect decoding (i.e. the CRC or other failed). 13. Results - The detected codes. Note, these are also created as RoboRealm variables (see Watch Variables module) that can be used in other modules. MAXICODE_COUNTRY_NAME - the country code expanding into a readable name.